Low weight, easy to design and manufacture. Suitable for continuous compressed air supply, such as cooling unit. The oil free in nature. They have fewer rubbing parts. High-flow rate than the positive displacement compressor. Wide range of rotational speed. 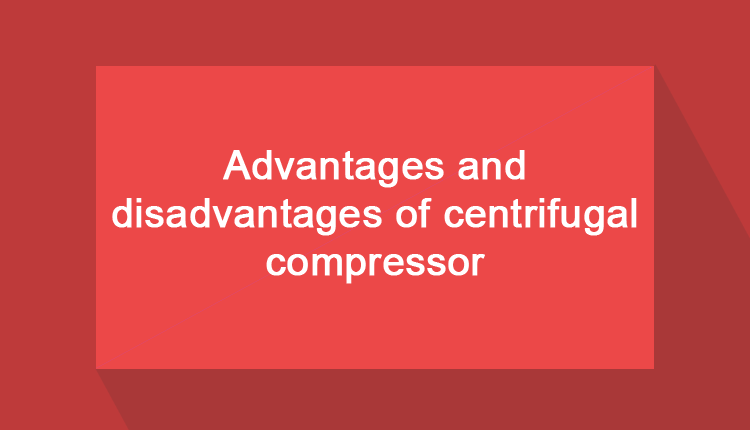 Centrifugal compressors are reliable, low maintenance. 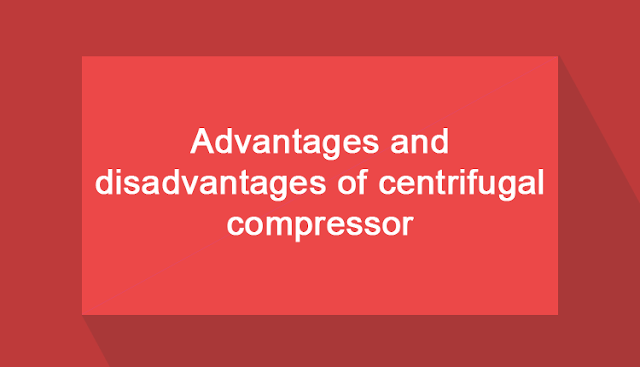 Generating a higher pressure ratio per stage as compared to axial flow compressor. It does not require special foundation. Large frontal area for a given air flow rate compared to the axial flow compressor. Unsuitable for very high compression, limited pressure. They are sensitive to changes in gas composition. They work at high speed, sophisticated vibration mounting needed. Problem of surging, stalling and choking. Food and beverage industry - centrifugal compressor provides oil frees compressed air for some sensitive application such as food processing. Centrifugal compressor meets high demand of compressed air. Gas turbines, in automobile turbochargers and supercharger. Manufacturing process compressed air for pneumatic tools. Read: Why do we need compression? but it require casing which should be sealed.